How fast will people be able to spot the Mississippians in LA? We’ll soon find out, y’all! 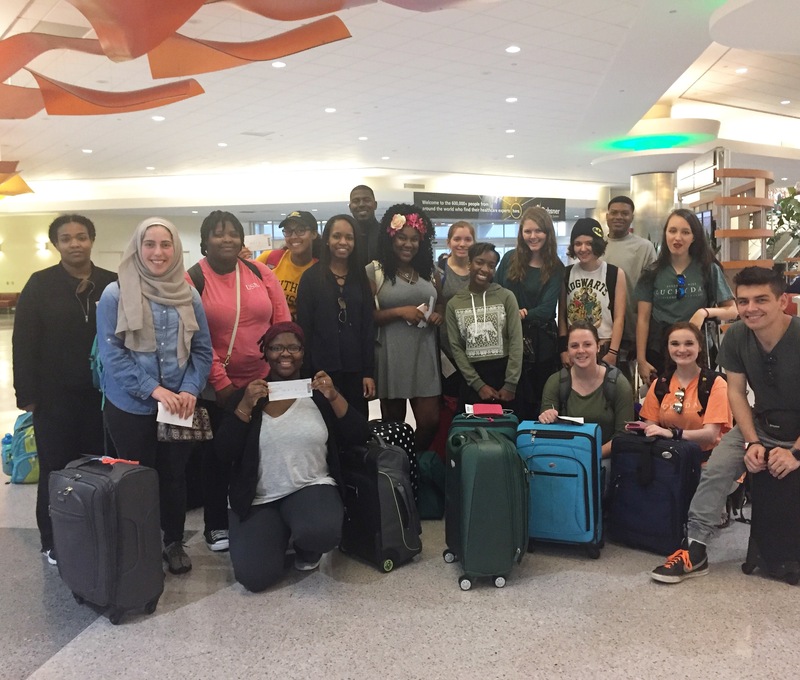 For the past 4 years, the Luckyday Program has hosted a trip for students during spring break to discover natural wonders, fascinating cities, historic landmarks, and unique cultures around this great country of ours. Former itineraries included skiing in Winter Park, Colorado, touring the nation’s capital, exploring the streets of San Francisco, hiking in Yosemite National Park, marveling at the lights in Las Vegas, and standing in awe at the beauty of the Grand Canyon. This year 17 students signed up for the west coast adventure. Students fund most of their trip, with the help of Luckyday Program funds as well. We’ll be flying into Los Angeles tonight and attempt to see as much of the city as we can on Saturday. Sunday we will head out to Joshua Tree National Park, trading our flats or sandals for tennis shoes as we hit some trails (and hopefully no cacti). After a day of exploring the park we will head southwest to experience all San Diego has to offer for the next two days. On Wednesday we will possibly wake up with sore legs, and maybe a lack of sleep, but most certainly with experiences and memories to cherish for a lifetime. We look forward to sharing some of those experiences with you on this blog! And now, on to our adventures!